Atlantis Beach Two Rocks is a large-scale master planned coastal development that will eventually accommodate about 5000 families and include four public primary schools, a public high school, a private K-12 college, and more than 41ha of parks and open space areas. The furniture for this project was developed in response to a brief provided by the Landscape Architects at LD Total. 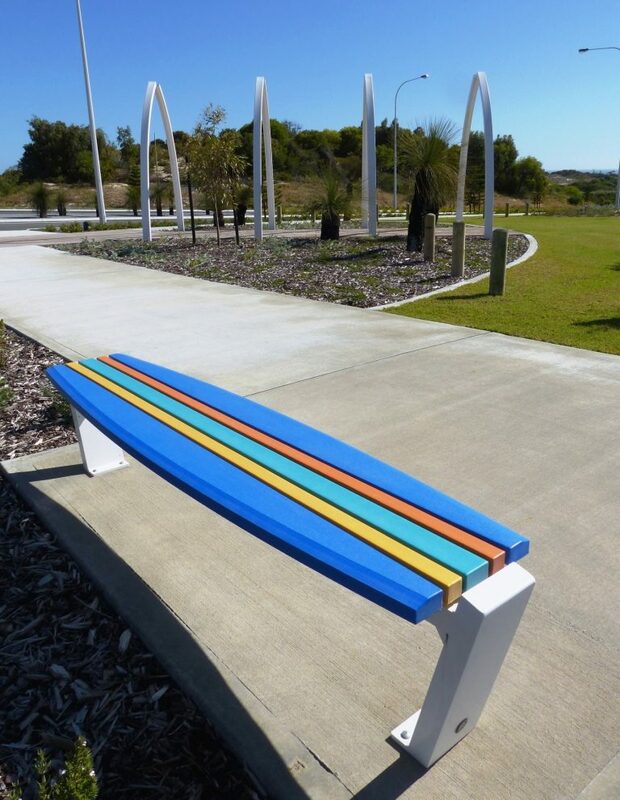 Inspired by the coastal locality and existing marina, the range is characterised by strong nautical references with curved boat-like forms and crisp, white, angular frames which enhance the vibrantly coloured Furnitureform™ recycled HDPE plastic selected for this project. 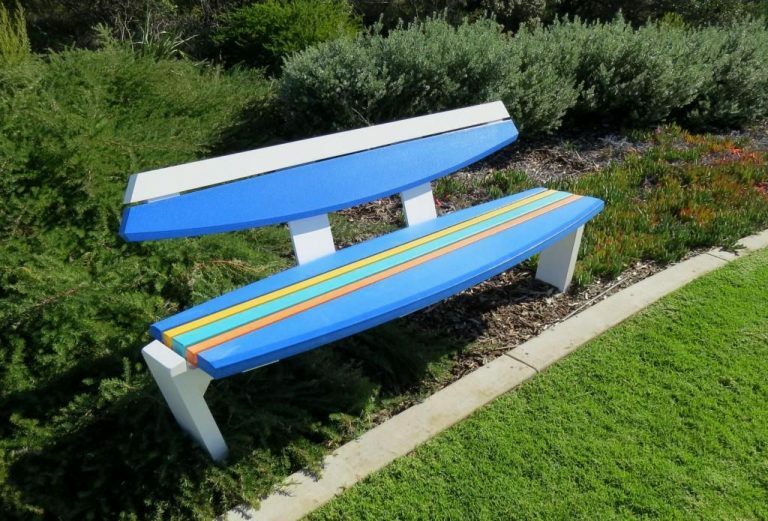 This exciting addition to the Cox Urban Furniture collection includes bench seats with 2 different widths, a seat with backrest and optional armrests, both standard and DDA compliant picnic settings, and two sizes of shelter. 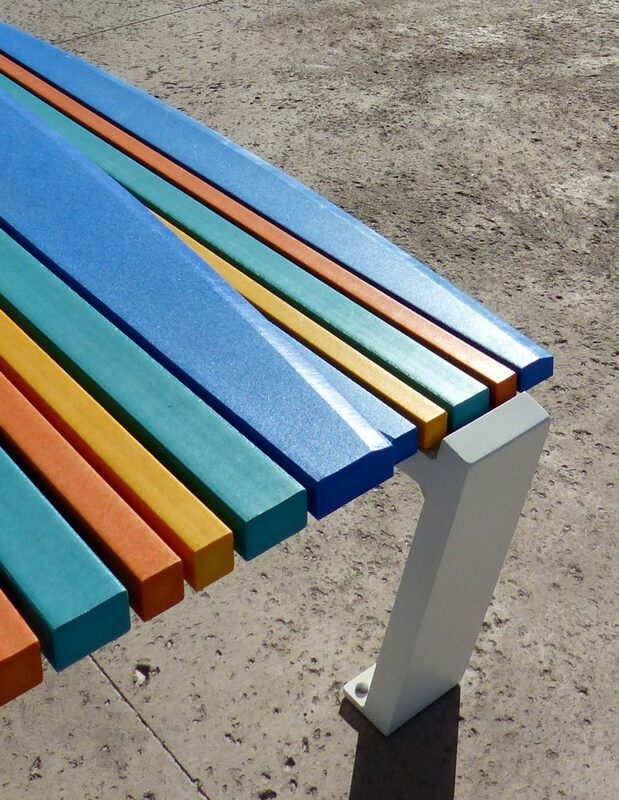 Known as the ‘Waterline’ range, this furniture will soon be available with batten material options of timber or ‘Charcoal Grey’ Furnitureform™ recycled HDPE plastic. Other colours will be available on special order, subject to minimum quantities and a longer delivery schedule. Vibrant colours of the coast. Landscaped spaces with playgrounds, shelters and picnic settings provide welcoming communal areas for the residents to socialise and relax. Nautical references expressed through curved forms and crisp, white, angular frames. 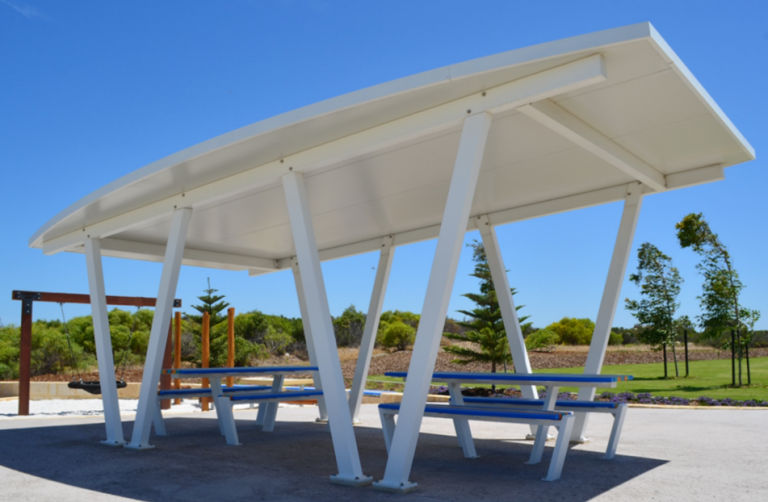 Largest of two shelters (8.0m x 4.8m), designed by Cox Urban Furniture to accommodate up to three table settings. DDA compliant wheelchair accessible table setting.